More goodies are coming to OpenMovieVR! “Caminandes LLamigos” will be the first open movie ever with a movie event based environment change. 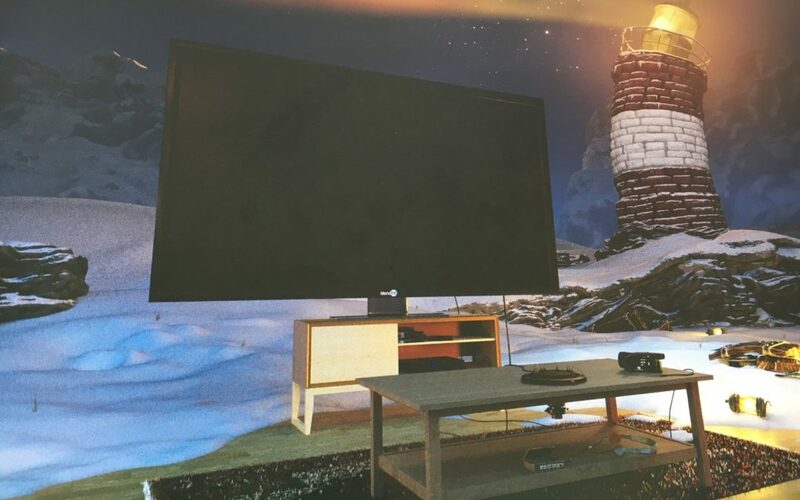 This will switch your VR environment based on certain key scenes in the movie, a technology we like to call ambiVR (a term coined by none other than Ton Roosendaal) . In case you purchased the OpenCamcorder (which allows you to play your own movies), you can switch to any movie environment anytime once the camcorder is plugged in. So you have an even greater variety of scenes to watch your own movies in! We are planning to bring this to all the movies we already have in our app, and of course to all future open movies too. One common feature request was the ability to recenter the scene, in case you find a different chair rotation more comfortable and don’t want to constantly turn your neck in order to see the screen. You can find the recenter button within the player controls below the TV screen once a movie is playing. So we hope you enjoy OMVR 2.1!